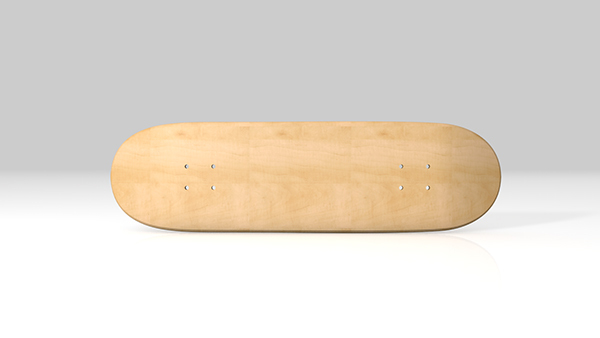 This page is intended to be an informative resource as it relates to the skateboard deck. With a sound understanding of the differences in how decks are designed and made, you should be able to make sound decisions regarding the type of deck you want to use! 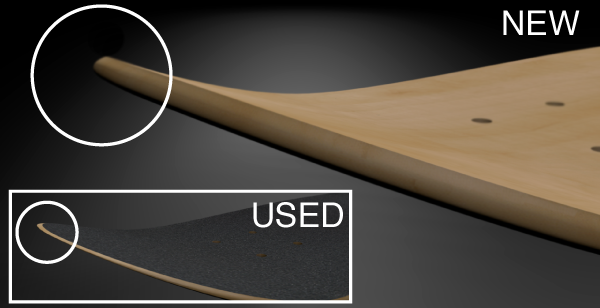 Skateboard decks are designed with different widths and different lengths. As the differing lengths of the deck are contingent on the the differing widths, however, keep in mind that any longer deck will also be wider, etc. In other words it won’t be easy to find a very long, very narrow deck or a very short, very wide deck. 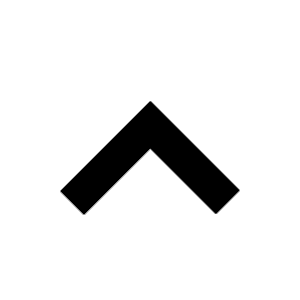 The most common widths available are between 7.5’ to 8.25’. Skinny decks (<7.625') are light and easy to flip so it's good for technical skating. Fat decks (>8.25) are heavy and make you steadier on the board, so they work well for transition (halfpipe/bowl/pool) skating though not as much for technical street skating. 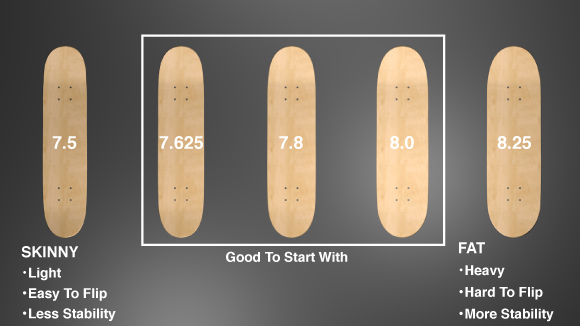 Middle size decks (7.75~8.0) are best for getting started, though if you have a larger body in either height or weight, the bigger boards are not bad alternatives from the get go. 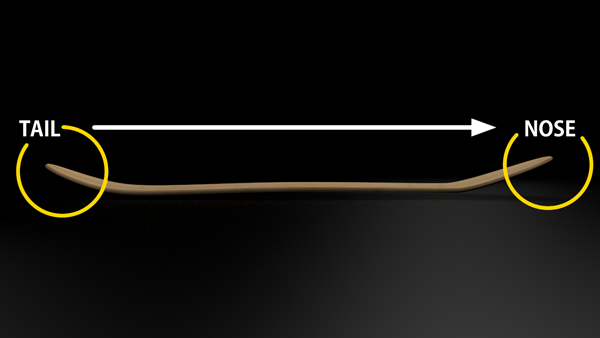 The curves of the skateboards back (Tail) and front (Nose) are differentiated by their kick. 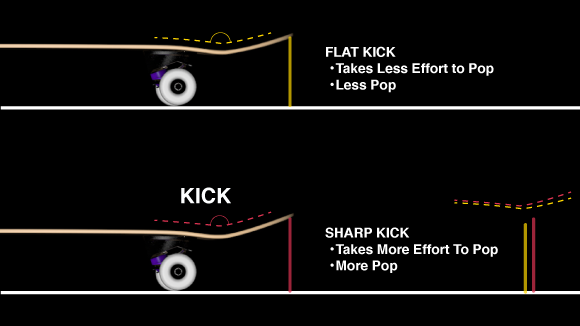 Sharper kicks angle the tail and nose higher upward and provide more popping potential when applying force. While flatter kicks provide less popping potential, they also require less effort and power to produce pop. Flatter kicks, incidentally, are better for people new to skateboarding. If you carefully examine a skateboard deck you will notice that it is not perfectly flat. 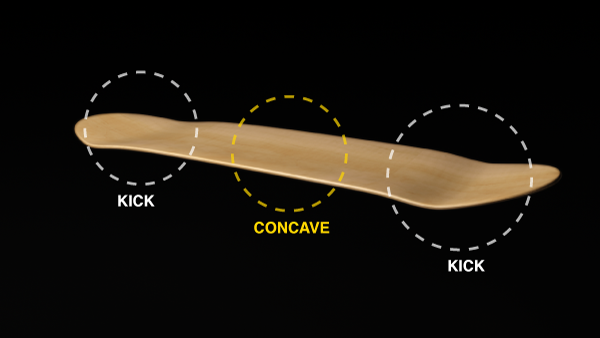 The concave shape of the deck allows you to better balance yourself on your feet while standing on your board. 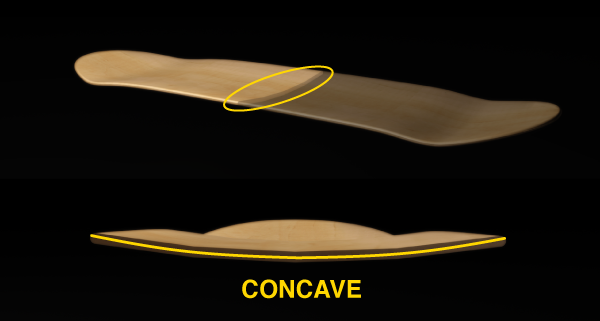 Basically, the deeper the concave, the easier it is to find a footing on your board. However, too much and it may begin to feel uncomfortable. Which is Front (Nose) ? The nose is generally ever so slightly narrower than the tail, and generally has a higher angle of kick than the tail. Also, if you are using a deck that has a pattern or design underneath, the nose is generally the side of the board at the ‘top’ of the pattern or design. If you find a graphic that you just think is too awesome and too personally well suited for you to pass up, but the shape or size of the deck is not the one you are most comfortable with, you know what… don’t fret it too much. While it is preferable to choose your deck according to its specifications over its graphic, its not the worst thing to go the other way, and it should be easy enough for you to get used to. If you find the perfect graphic on a deck just a little too big or a little too small, heck, go for it. Your feet won’t get a good hold on smooth wood so you’ll need Griptape on your board before you ride. 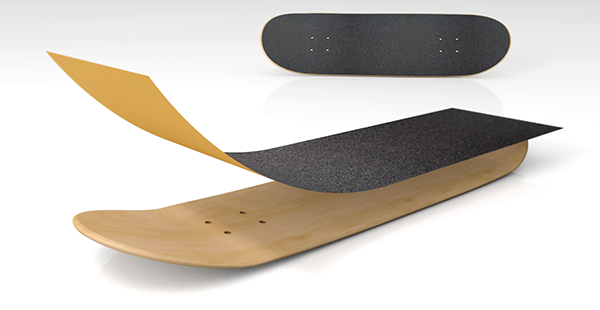 Griptape is basically a sandpaper covering. On average you are looking at a price range of about $5~10, which generally includes its application to the board. Be aware that cheap ones may easily lose their grip or stickiness. Griptape comes in many colors, though black is by far the most common. 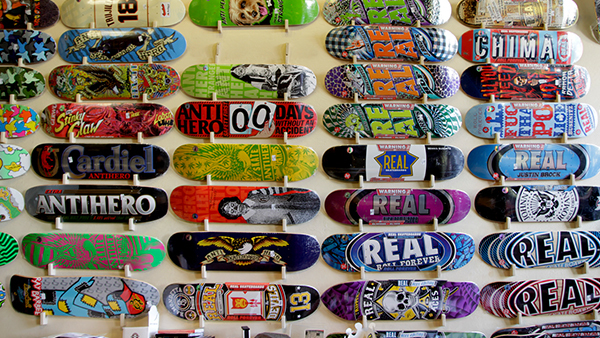 There are many brand-name skateboard manufacturing companies. 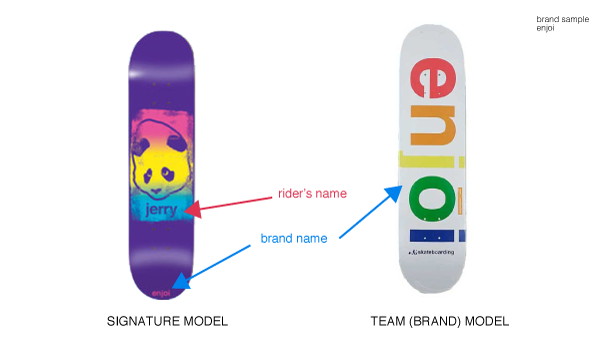 Decks from such brands generally always have some graphic display and often times an endorsement in the form of a sponsored professional’s name. These decks are often purchased for personal, aesthetic, or brand loyalty reasons. Any reputable company that produces skateboard decks will be producing decks of good quality, and prices generally range from $40 – $75 in US currency. A great alternative for beginners are “blank” decks, which come with no graphics. They are cheaper than brand-name decks, and while some are certainly of inferior quality, many producers actually make decks of near equal or equal quality to the more expensive brand name decks. There are two primary things to consider when purchasing blank decks. Is the Wood From North America? 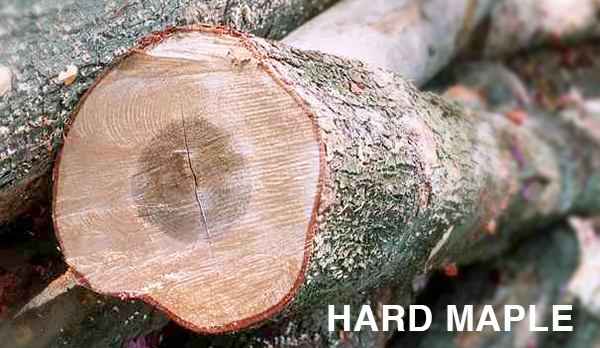 The most common wood used for making skateboards is called “Hard (Rock) Maple.” Hard Maples are grown mainly in North America though the wood is still produced in other parts of the world. 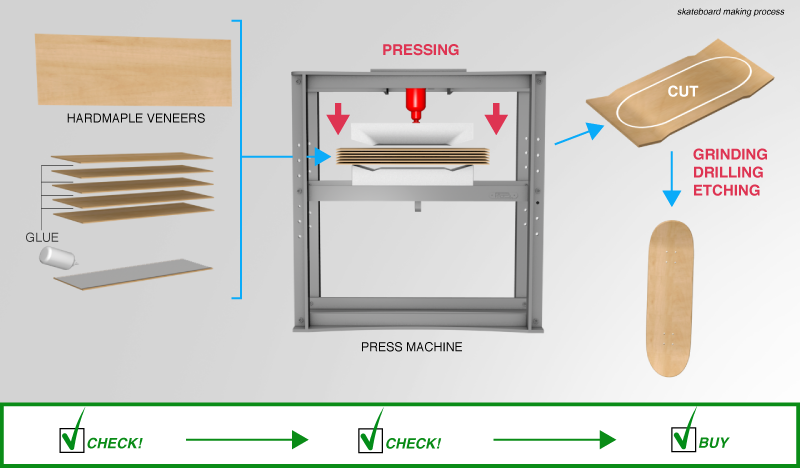 The material grows strongest in the cold North American climate, however, and thus the end product as it relates to skateboards are best from this part of the world. This is not to say that decks of the highest quality are not produced in other regions of the world as well. The ‘press’ refers to the manufacture (process, glue, or machineries used) of the skateboards. North American made decks are generally highest in overall standardized quality. How often should decks be changed? Unlike a skateboards bearings, wheels and trucks, the deck will have to be changed relatively often. Ollie related tricks require the smacking of your tail against the pavement and so gradually eats away at the tail end of the board. It is generally time to buy a new deck when you feel like you are losing pop in your tail. Decks can also break down the middle if, for example, you were to become enraged and to smash down on it from above! 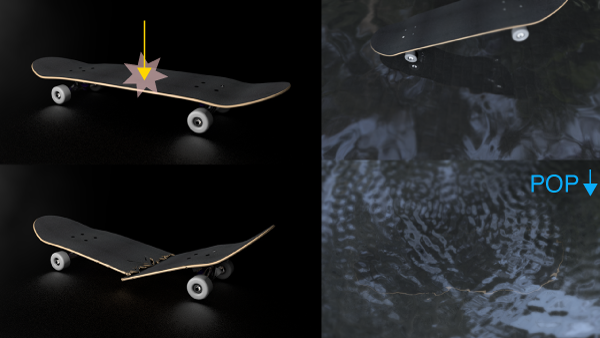 Word to the wise, try not to let your board get wet – it’s not good for it.